Sometimes when we are at our desks, we just want to cool down in style. And there is no more stylish way with a vintage style table fan. 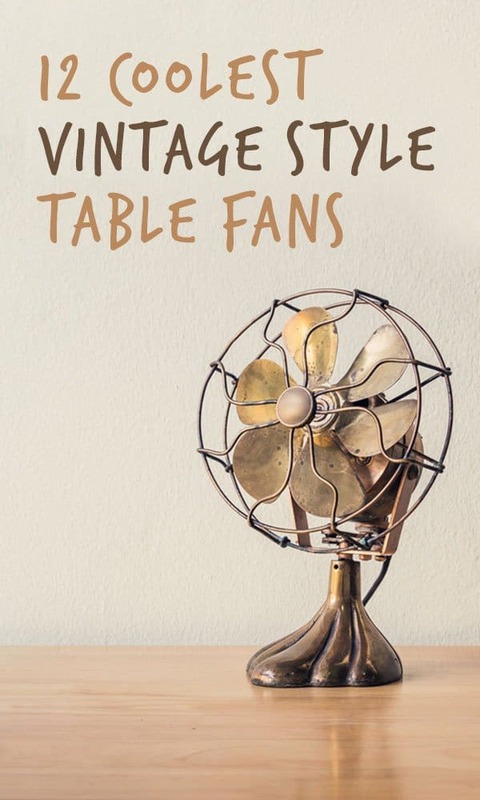 We have perused hundreds of vintage table fans and come up with what we think are the 21 coolest vintage style table fans below. This 2-speed metal fan by Vornado is vintage personified and comes in a number of other colors. It has a fully pivotable head for easy airflow control. This classic vintage looking table fan is 9-inches in diameter and also comes with a number of colors making it easy for this fan to fit in with any decor. This 3-speed oscillating vintage table fan has an antique copper finish and a removable front guard for easy cleaning.
. At 11 inches and 3 speeds, it has good construction is would be a feature piece of your home or office. This personal desktop fan by Vornado manages to capture what modern might have looked like 30 years ago, capturing that beautiful vintage feel.
. A great way to make your table space more interesting. A cool vintage looking 14-inch table fan by Vornado which has 3 speed settings, oscillation and head tilt features for easy control of airflow. A neat little 12-inch stainless steel vintage style table fan made by Insignia. A 10-inch fan with 2 speeds and a number of color options, the DecoBreeze table fan can fit in with any vintage or retro decor. A stylish vintage style table fan made by Minke Aire, who are famous for their high-quality ceiling fans. It has 3-speeds and oscillates. This cool looking retro table fan made by Sailer’s Art has 3 speeds and is made from brass and beautifully handcrafted. Do you have, or have you seen any cool vintage table fans? Feel free to share them below, we would love to hear from you!